Homeschooling has been an incredible adventure for our family. I did attempt public school with my oldest for a few months before making the transition to homeschooling, and I haven’t regretted it for a second. As much as I love homeschooling, this time of the year can become challenging. We get cabin fever, and the excitement of new curriculum has worn off. The finish line and summer seem so far away. When this happens, it’s easy to start thinking that the grass may just be greener on the other side. 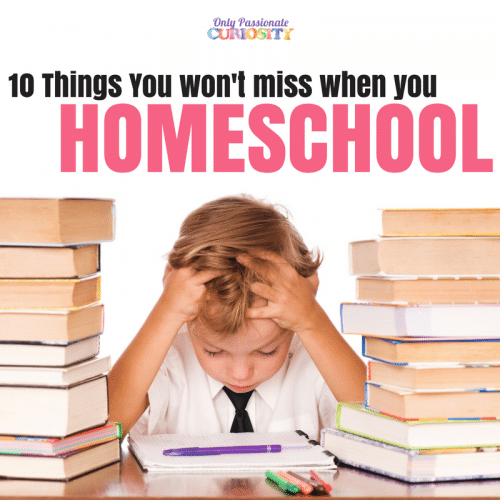 Gain some perspective by checking out this list of all the things you are NOT missing out on as a homeschool family. This content originally appeared on Oak Meadow‘s Blog, In the Meadow. It has been re-published here with permission. Stop by and subscribe to In the Meadow for more awesome homeschooling content. 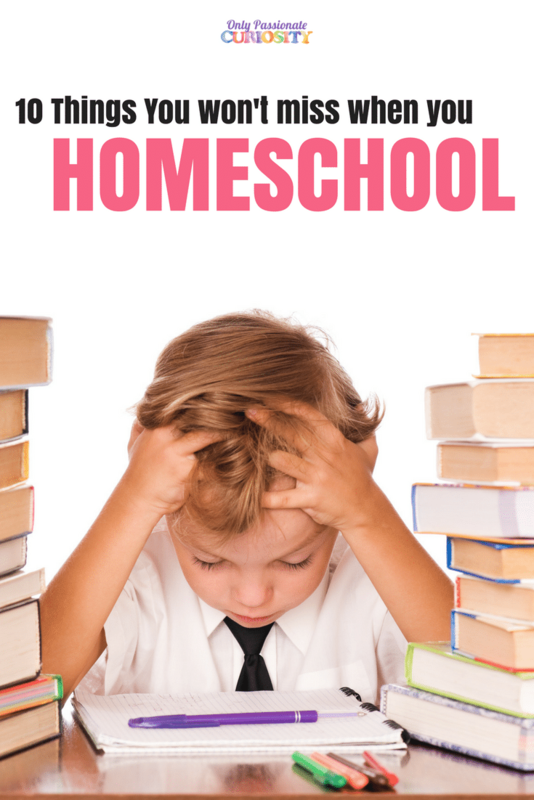 Some of the hallmarks of school are blissfully absent for homeschoolers. Here are ten key examples. 1. The morning alarm clock – Homeschoolers can design their schedule to honor their body’s natural rhythms. Many wake each day only when their body is refreshed and ready. 2. Homework – When homeschool work is done, it’s done! There’s no additional pile of work to add on at the end of a long day. 3. School lunches – Whether you pack them or buy them in the cafeteria, school lunch options are limited, and health is all too often sacrificed for convenience. Homeschoolers can enjoy all of the natural, healthy options their parents make available in the fridge or pantry. 4. Permission slips – All of those endless slips of paper to sign and return magically disappear when you bring learning home instead! 5. Detention – Homeschool discipline is simply an extension of regular parenting. There’s no need to compel a student to “stay after school” to make a point. 6. Report cards – Homeschoolers don’t need report cards because their parents keep ongoing tabs on how their learning is going. Some homeschoolers even consider grades optional. 8. Shortened recess – Recess can happen anytime and as often as it is needed! 9. The bell – The bell to signal the end of the class period or school day never interrupts your work or that wonderful book you’ve just delved into. And you never spend any time watching the seconds hand go round and round as it counts down the boring minutes to the end of class. You might wish there were more minutes in your day, though! 10. The end of summer vacation – When school vacation ends and school kids head back inside school to their lockers, desks, and workbooks, yours can keep playing outside as much as they want. What are some other things that you don’t miss when you homeschool? Homeschooling is easier when you are using the correct curriculum for your family. Oak Meadow works well for us for many reasons – but my favorite reason is that it is flexible and adaptable to your family’s routine. With Oak Meadow, I am not stressing about checking every single little box. I am not overwhelmed, overscheduled, or having power struggles with my child. The curriculum is written in a way that empowers my child to take control of his education and empowers me to run my home and my homeschool in the way I see fit. If you’re looking for more reasons to love homeschooling and want a change, stop by Oak Meadow and check out their programs. Read our reviews, and if you’re already using Oak Meadow and could use the extra support, check out Homeschool with Heart as an add-on to your curriculum. Getting threatening letters from the school district when your child has had too many absences due to illness.